Ancient Aliens, Anunnaki Gods of the Necronomicon and more! Joshua Free breaks years of silence: guest interview on “A World of Weird” podcast! Other cuneiform texts reveal Enlil as the eldest son of KI and Enki as the son of Antu. These differing lineages play a more significant role in the younger pantheon and later dualistic interpretations, but in the original formation of Sumerian civilization, Enlil and Enki are actually perfect compliments to one another in the division of the material world – Enlil as the ruler of the air and fire aspects, leaving Enki the domains of water and earth. As the Sumerian “Enki” form is relayed, the title suggests quite simply that he is “Lord of the Earth” [EN = Lord, KI = earth], later being relayed by the Babylo-Akkadian epitaph “Ea,” likely derived from the Sumerian ideograms for “house” [E] and “water” [A]. This water alignment is suggested further by the titles given to his temple-ziggurat, built in the southern city of Eridu [e-ri-dug – “home of the mighty”] known as both E.ENG-URA (House of Lower Waters) or E.ABZU (House in the Depths). Where Enlil is given charge over the organization of “space” and the management of the other deities, Enki is given more control over “worldly matters” and carries the designation of forty. In essence, Enlil represents the active spirit that is the manifested world as a whole and why it can exist (separated from the “heavens”). By comparison, Enki represents the more passive elements, but clearly the more “material” ones, and also the spirit of how things exist – their “hidden” internal engineering and atomistic design. The properties and position of Enki as establishing the material basis and infrastructure of civilization was observed most famously in an epic dedicated to the figure “Oannes” as recorded by a Babylonian priest, Berossus, in the 13th Century B.C. In this narrative, Enki is depicted as the “sublime fish god” [fish = scales = reptillian] who rises from his ocean home (or in this case, the Erythian Sea near the Persian Gulf) to teach men the crafts necessary for their developmental arts and sciences to flourish. For more information on ENKI and the ANUNNAKI, explore the World of the Mardukites today! The Anunnaki sealed within this system are seven. Among them is MARDUK, who sealed the others to Gates of Babylon. Before them all is the Earth Gate [Foundation of Heaven and Earth]. Beyond them all is the Ring [Gate] of Pass Not – wherein resides the Ancestral Chiefs of the Supernal Trinity – The Elder Gods: ANU, ENLIL & ENKI. Anunnaki energetic forces (currents) are bound to the Seven Rays and the Seven Stars – each vibrating a tone or color of manifestation into existence. The powers of the Anunnaki – as connected to the planets and rays – have called the “zonei” or “zones” – comparable even to the Stations of the Spheres. Beyond the Seven Zonei [Anunnaki] are the ‘three rays of unity’ that become fractured into ‘seven parts’ in our sensory range of existence. Beyond the Supernal Trinity is the One, the Eternal Source of All Being and Creation that is manifest in the will and form of every thought and thing. Powers of the younger Elder Gods are sealed to the blood of their ancestors – as is yours, dear Gatekeeper – all from ANU, divided then between ENLIL and ENKI. The ancient texts explain that the Blood of Kingu and the Breath of the Elder Gods were combined for your existence and it is from these things alone that “magickal powers” can be manifest by beings that possesses them. By succession, NABU can lead you to MARDUK, who can petition you to ENKI; ENKI to ENLIL; and ENLIL to the powers of ANU, if desired. In the true pious tradition, energetic powers are “sent down.” You can distinguish the genetic source of a ‘current’ by its birthright – often connected to the sigil-glyph-insignias of command, mainly triangles, indicating the King of Heaven (ANU), the Lord of the Command (ENLIL) and the Lord of the Earth (ENKI). Consider the sigil-seals of the two primary factions of Anunnaki that inhabit the ancient world. In the Babylonian tradition, currents of both “sides” are invoked toward the completion of the Earth System. Rivalry (between “polarity”) does not slow the course of natural systems because, as it is said, “the show must go on” and on a larger scale, the duality is not actually perceived to exist (such as in the older Sumerian tradition).As a symbol, the “hexagram” sigil is found where power is evoked from ceremonial grimoires, angelic mysteries, etc. Furthermore, the “merkaba” appears when communication and exchange of energy with forces beyond our sensory range of the material world occurs. The five-pointed star is a sign of the human race, and is sealed to the condensed material world and the sensual range of elements. The seven-pointed star is the sign of the Anunnaki. The eight-pointed star is universal of the “StarGate” itself. Between five and seven is the sign of the “Stairway” by which the two are linked, and this is the relevance of the six-pointed star – that which has been seen on emblems of orders and societies for centuries. It lies at the heart of the Solomonic grimoires, the Kabbalah and Merkaba of an energetic matrix-existence. How often we have heard of the “Dark Arts” born of a ‘polarized’ and often ‘dualistic’ view of the universe – and the forces that occupy it. For every ‘white witch’ there is a ‘black spell’ and to every system of Order, there is a Chaos factor; for no fragmented experience of reality can ever actually find “balance”, but the pendulum swing – the tidal ebb and flow of universal currents will always seek it. 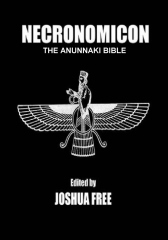 This mardukite.com blog post is extracted officially from Mardukite Liber M, available as either MAQLU MAGIC or NECRONOMICON SPELLBOOK II, in addition to the Year-3 anthologies either MESOPOTAMIAN MAGIC or NECRONOMICON WORKBOOK and the mega-anthology NECRONOMICON GNOSIS. …So, too is movement possible in the physical world – or at least one’s perception of the ‘3-D’ reality experienced. As such, with the once united ‘crystal’ being cracked into the varied refractions of human experience, language and culture, a ‘dualistic’ world emerged in consciousness; right before the very eyes of ancient Mesopotamians – at the heart and cradle of human civilization. WHAT IS THE MAQLU CUNEIFORM TABLET SERIES? Before approaching the more ‘colorful’ elements of the tradition – those that could most appropriately be given classifications as ‘Dark Arts’, ‘Sumerian Sorcery’, ‘Babylonian Witchcraft’, ‘magickal warfare’ or ‘wizards duels’ – it is important that the context for which such exists, a background screen onto which to express the story of the MAQLU in its projected spectrum of rainbow lights and kaleidoscope glory. The name MAQLU can be interpreted differently as with most things – such variegated perceptions are not even restricted to foreign languages for even a shared one is not free of semantic issues in its own vocabulary. Most typically, MAQLU is translated to mean “the Burnings” by ‘Sumeriologists’ and such. This is a good ‘base’ for our context, as we do indeed find the origins of a community bonded for ‘burning evil in effigy’. The Simonian work, in regards to a Babylonian Necronomicon practice, interprets the tablets as ‘Rites of Burnt Offering’ or else a ‘Book of Burnings’ for literary purposes. As with most of the work ‘restored’ by the Mardukite Chamberlains, a surface interpretation is never accepted and a ‘deeper mystery’ can often be uncovered in the very ‘literal’ meanings behind these very old words that do not appear to have had the same ‘metaphorical’ meaning that modern language users often take for granted – for the Mardukites have interpreted the MAQLU more appropriately – and not without its other diverse cultural parallels – as Burning Man [maq-lu]. Though it seems that the MAQLU operation was once a much more simple, internalized, meditative and solitary application used by early priests and magicians in Mesopotamia, it later developed more dramatically as a public Fire Festival in Sumer and Babylonia, involving the entire population of the community who gathered together in a ‘combined’ and ‘harmonic’ effort of intention to ‘drive out’ or ‘dispel’ the “evil” and “evil-doers” of the land. As “ridiculous” as this might sound to the naïve skeptic or right-wing fundamentalist, it can and should be noted that more recent public scientific studies all over the globe have now shown the effective abilities of consciousness moving energies when large groups, or better, the majority of the population is focused on a single emotional event. These types of ‘quantum’ effects appear to have very real ramifications for the population of the planet and the greater cosmos as a whole in this entangled universe whether or not people are aware of this phenomenon taking place in their environment and even internal ‘spirito-mental’ being (which are self-honestly All-as-One). In the instance of the MAQLU, the Burning Man is the representation of the ‘evildoers’ of the world – those who ‘plagued’ humanity with their wickedness and thereby upsetting the ‘world order’ of the gods, in addition to the gods themselves. Upsetting such a balance was usually felt in the community as ‘illness’ and ‘pestilence’, ‘disease’ and ‘famine’. Such could prove devastating to still developing human civilizations, and as such they were considered ‘evil’, the most wicked of ‘demons’ and anything that might lead to them – mostly uncleanliness and misappropriated living – were considered taboo (the original non-moral tribal sins) and for good reason. it. Before the wrongful use of authority in classical times, the taboos and sins were not given from dogma, but from medicinal necessity. Representative images are often used in ‘idol magic’ or ‘sympathetic magic’, but not as a result of worship – as some mythographers have repeatedly put forth – but to actually embody the ‘energetic current’ that is universally entangled to ‘focal object’ and its form. The representation of a ‘demon’, like the ‘plague-god’ Namtaru, was not to worship the deity with homage or to glorify the ‘daemonology’ of the Babylonian priests. Such statuary was typically constructed only to be ‘ceremonially’ annihilated or buried as a ‘ward’ against what the statue (deity) was representative of. In making such an object, the magicians show their understanding of the ‘entanglement’ of the universe in its mystical oneness and the interconnection of all things. It is almost impossible to bring up the topic of the Burning Man without conjuring to mind a much more geographical and time-recent example made popular in the images of motion pictures and familiar Roman-inspired writings of the Celtic Druids – and that is the Wicker Man, also called ‘Burning Man’ by some neopagans. Far removed in time and space we see evidence for the same rite being conducted and for similar reasons – the preservation of the early agricultural civilizations that were ‘guided’ by Sky God traditions – called the Anunnaki on Mesopotamian tablets or the Tuatha de Dannan (Tuatha d’Anu) in European Celtic and Druidic sources. “Fire” is a very common element to the early ‘magical’ and ‘shamanic’ systems, and its mastery in correlation to the development of modern humans is certainly indisputable. Any connection to the Fire Festivals of Europe is going to be difficult for one to understand without having been familiarized to the rigorous research found in other Mardukite materials that gives Mesopotamia as the birthplace of the Druidic Tradition. Sir Francis Frazer (Golden Bough) mentions both a ‘solar’ alignment and ‘purification’ style to these types of operations. The later European Wicker Giants appear to be more ‘agricultural’ in nature then the MAQLU version that targets actual ‘practitioners’ of the ‘Dark Arts’ that negatively affect the well-being of the greater population, the community at large and by extension the “moral balance” perceived of ‘universal forces’. The ancient Sumerians and Babylonians were no less dependent on the ‘agricultural’ fertility then the Celts – far from it. Thriving of a human numbers in the lands of Mesopotamia were so heavily dependent on the skilled use of arid land and the redirection of water from the Tigris and Euphrates rivers in a skillful way since lost to the Arabs and other occupiers of the land since. In Europe, we find the appearance of the Burning Man during the fertile and seed-sowing and nurturing ‘spring’ seasons, particularly the Equinox (Easter) observation, Beltane (a notorious ‘Fire Festival’) and finally Midsummer. The annual survival of the agricultural Celts was wholly dependent on the success of this season above all others. One of which does correlate with Europe is an esoteric observation of Beltane – opposite it, Samhain (modern-day Halloween) is also significant. The Sumerio-Babylonian AKITU festival is concurrent with the Spring Equinox. So, regardless of where we turn, there is a unifying (universal) picture forming to define the ceremonial observation of the Burnings.